First look: Apple Watch Series 3 with cellular: stainless steel vs. aluminum - GeekCast en Español.. 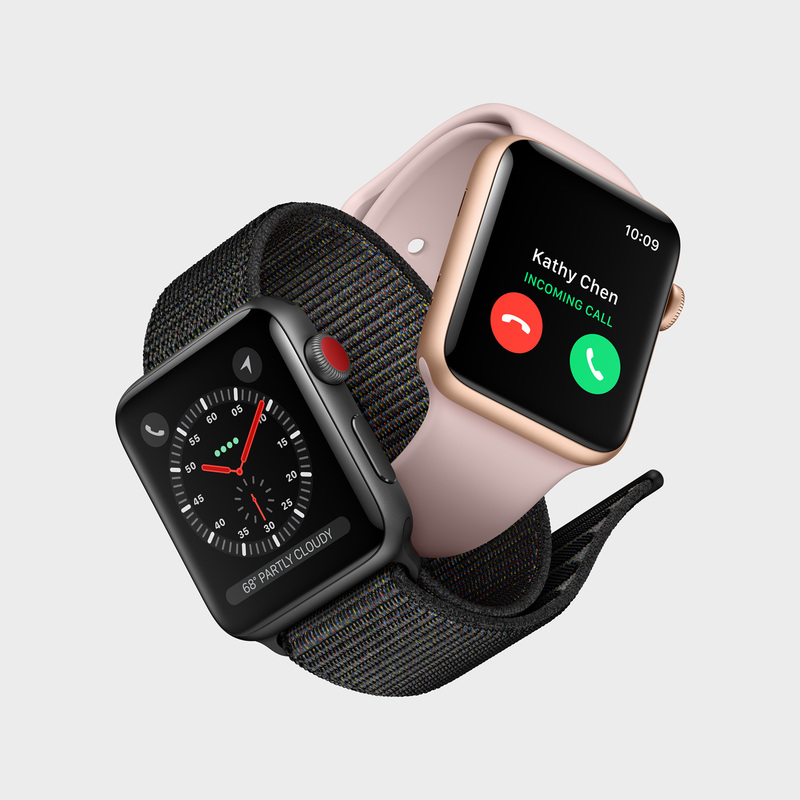 The new Apple Watch Series 3 has arrived, and the News Portal AppleInsider got early access to the device and are offering a closer look at what to expect from the next-generation model, including new packaging, a new sport loop band, and the controversial Digital Crown red dot. For Friday’s launch, we got our hands on two models: the space gray aluminum case with dark olive sport loop ($429), and the stainless steel case with milanese loop ($749). Both are 42-millimeter size, and both come with built-in cellular LTE connectivity. For a previous Apple Watch owner, the first thing you’ll notice with your purchase is new packaging, at least for the aluminum model (previously known as sport). While previous purchases came in a long box where the watch and bands were stretched out, the aluminum and stainless steel versions both now come in square boxes. Interestingly, while the pricier stainless steel model has an easy-to-remove plastic wrapping with convenient pull tab, the aluminum model is covered in vacuum-sealed plastic and must be torn to be opened. In other words, one of the things that your extra $320 gets you is an easier-to-open box. Once inside, the watches are displayed in the same manner, but the stainless steel model again has some small, finer touches. While the aluminum model is presented with a softer plastic insert to keep the band in shape, the stainless steel model has a stiffer cardboard insert. And the magnetic attachment on the charging cable has a plastic back with the aluminum model, but features a metal back with the stainless steel version. Both come with the same 5-watt charger and instruction manual. And internally, they both feature the same components, including the S3 dual-core processor and W2 wireless chip, as well as a dedicated LTE radio, allowing for data on the go without a connected iPhone. The main differences between the two models are on the outside. Beyond the stainless steel case, the step up in pricing also gets users a sapphire crystal cover over the OLED display, which is more resistant to scratches and scuffs. The sport loop band on the aluminum model is an entirely new band option made by Apple. It’s a lightweight and soft cloth band with a velcro attachment. As shipped, the band loops through the bottom of the watch face. Setting up the new Apple Watch Series 3 is much easier than before thanks to the W2 chip, allowing an iPhone and the wearable to easily recognize one another and begin the pairing process. And if you’ve used an Apple Watch before, you can restore those settings and apps to get up and going just as you were before. ← #DOOMtastic Bethesda Studios muestra una versión del nuevo DOOM corriendo en el Nintendo Switch.